When it comes to operating systems (OS), we are spoilt for choice with the likes of Debian, CentOS, Microsoft Windows Server, and Red Hat vying for our affection. But what about Ubuntu? How does it square up to the top players in the market? Here’s why I think Ubuntu rules and is a must in every service provider’s product portfolio. As its name suggests in Zulu, humanity towards others and human kindness, Ubuntu is committed to the principles of open-source software development in which people are encouraged to use the free software, study how it works, improve on its code and distribute it amongst its users.In 2004, Linux was already established as an enterprise server platform, but free software was not a part of everyday life for most computer users. That’s why Mark Shuttleworth gathered a small team of developers from one of the most established Linux projects — Debian — and set out to create an easy-to-use Linux desktop: Ubuntu.To-date, Ubuntu is the reference operating system for the OpenStack project and it’s a hugely popular OS on Amazon’s EC2 and Rackspace’s Cloud. Ubuntu is a unique single platform that scales from consumer electronics to the desktop and up into the cloud for enterprise computing. According to Canonical 70% of public cloud workloads and 55% of OpenStack clouds run on Ubuntu. Not bad… But what are the people saying? A most recent study conducted from W3Techs describes that 34% of usage for Linux is dominated by Ubuntu, measured by looking at the top 10 million websites as ranked by Alexa. The historical yearly trends showcase the increase in Ubuntu’s popularity over the past 6 years with only a slight increase of usage with Debian, CentOs and Red Hat. But what’s Ubuntu’s key values? In the another user survey conducted by Openstack respondents were asked: “Which operating systems are running OpenStack developments?” Ubuntu servers continue to provide the operating system for the majority of OpenStack developments, indicated by 45% more deployments than in the last survey in October 2015. What’s the picture in the hosting industry? We take a closer look at our Plesk universe to find out if they are following the overall cloud-driven trends or are failing to catch up quickly enough. Globally, 78% of all Plesk servers are based on Linux (yes, we do support both Linux and Windows). Let’s ignore Windows for the moment and focus on the share of 4 Linux distros and all versions Plesk supports today:CentOS – 61% Ubuntu – 26% Debian – 10% RedHat – 1,3%If you check out any community forum and ask any user about Ubuntu, the sentiments are the same. They like that Ubuntu is open source which you can’t find in Windows or Mac. As a user, you are given the ability to contribute to a code and have a large community group to answer the most challenging questions. Ubuntu is a rock-solid operating system that isn’t going to break the bank and it’s great for development. There is a good reason as to why the majority of public cloud workloads run on Ubuntu. Why companies aren’t considering Ubuntu? Is it because Ubuntu is known as an open-source for beginners and doesn’t provide the security and reliability needed to run enterprise OS? Or, are companies unwilling to invest in more options because the complexity, compatibility and support that’s needed to run multiple OS can be challenging?Let me know what you think in the comments below. Interested in learning more about Ubuntu and Plesk? 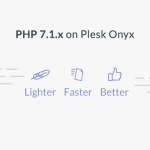 Check out our latest Plesk Onyx release that also supports Ubuntu, or our Partners page to find out how you can become a Plesk Partner. > Why companies aren’t considering Ubuntu? There’s a perception (a silly one!) that Ubuntu is a ‘desktop OS’ since this is where they started off, so maybe this limits them. I’m just speculating. I would not hesitate to use them in an enterprise server environment though. Also, companies as you implied above stick with one server OS. It’s too costly managing/supporting different OSs. 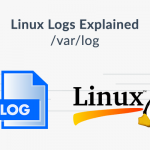 Imagine 2 different Linux distros to deal with…or a Windows and Linux box. I would standardize on just one server OS and most likely use a specialized distro for file storage (FreeNAS, TrueOS, etc.) if this were one of my objectives. Thanks for your feedback and we completely agree with your comments as far as the perception. Agreed, most companies don’t feel that they can use Ubuntu in an enterprise server environment including they don’t have the bandwidth or budget to operate more than one OS.